I mentioned back in November that I would start talking about self-publishing after I published my first book on Amazon Kindle. Since then I’ve published another book and I’ve got another in the works! So here are 7 macro-steps which I’d like to highlight for getting your ebook from idea to published on KDP. Hopefully in the future I’ll go into more detail on each one. Note: this is for people wanting to do it all themselves. There are conversion services out there for payment who will do the majority of the work for you, too. 1. Sign up for KDP. It’s free to sign up for Kindle Direct Publishing and you actually don’t have to have a book ready to publish when you sign up. You’ll want to get in there well before as they have a lot of resources and tips to share for the preparation of your book for publishing. So sign up at http://kdp.amazon.com and get started in the Help section. You also have access to the KDP Community which is a series of forums. I’ve heard they are very useful but luckily I haven’t needed them myself. If you have a story / subject to write about, great! If you don’t have an idea/story, stay tuned for a future post which talks about writing inspiration. Once you’ve got your written material ready to publish, this is what’s next. The KDP formatting guidelines (link to PDF) are free and are obviously a must. Start here and read it 2-3 times. It’s 55 pages but think of it as a small manual to self-publishing! The guidelines are listed under Prepare your Book > Instructions for a Mac but they don’t seem Mac-only. There’s also a simplified formatting guide which is pretty basic and much, much shorter. If you like and enjoy working with basic HTML, this will give you more control over the final product. Since both of my books have started with some HTML formatting, I decided to continue creating them that way. I used a text editor (TextWrangler) because I don’t mind getting in the code and formatting it myself. I think the rule of thumb is: the less formatting (read: special text styling / placement), the better. Remember, unless you have a ton of complicated images & placement, your book should be fluid and be able to be resized and rotated as the reader dictates. I can give some more options for formatting your content in a future post. Amazon gives you two powerful tools to create and preview how your Kindle book will look – get them both as they serve different purposes. Kindle Gen will package up all the things (images, Table of contents, XHTML) into a file ready to submit to KDP. Kindle Gen will require typing a few things into the command line (a bit techie), but there are instructions and forums to help you master it. Kindle Previewer will simulate what the book will look like on a Kindle after you’ve run it through Kindle Gen, from your PC/Mac. This is helpful if you don’t have a Kindle (like me – I have a smart phone & iPad I test them on and Kindle Previewer). Both the Kindle Previewer and Kindle Gen are available on KDP under Prepare Your Book > Tools and Resources. You should have the Kindle App for every device you can test it on (there are a lot)! When it’s ready, you can move the ready-to-submit file over to your smart phone / iPad via the Kindle App so you can preview what it looks like. Plan to do a full read-through on at least one of these devices. Trust me, no matter how many times you read the material while writing & formatting, if you read it on your iPad/Kindle prior to publishing, you will find errors you can fix. Your ebook may have no pictures inside, but you’ll definitely need a nice image and well-thought-out text & font for your cover. Buy a stock photo for your cover, use a Creative Commons image (make sure it’s licensed for commercial use! ), or use one of your own images. If you’re not handy with Photoshop (or open-source GIMP), consider asking a friend to help you out. Or pay someone to do it – it’s an investment, and though a book’s touch & feel aren’t important with an ebook, the cover is critical and will definitely influence sales. Make sure you read the KDP formatting guidelines for your cover – you’ll be able to upload an image for the cover prior to submitting your book so you can see what it looks like. For more on ebook cover design, check out The Book Designer. 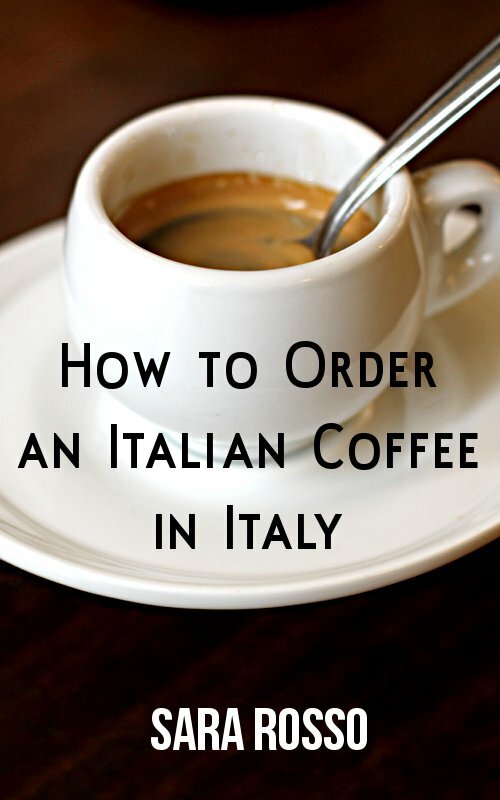 Note: I won their non-fiction cover design award in February for my cover on How to Order an Italian Coffee in Italy! 5. Submit your Book’s Details, including pricing, & publish! Now you’re finally ready to submit your book. The KDP guidelines will walk you through the information which will be needed for each step, but probably the most important step is deciding the price. Take some time and think about the price you’ll set before you’re ready to submit so you don’t agonize when clicking the submit button. Luckily, you can change price often on KDP so it’s not set in stone. After submitting, depending on your language (as of this writing, English-language books are processed faster), your book will start appearing in Amazon stores (they say 12 hours for English books, up to 48 hours for non-English books). You’d think by submitting your book through the KDP you’d have an author page, but you don’t. I believe this is so publishers stay separate from authors. So head on over to Author Central and set up an author page. Have a little bio and picture ready, along with links to your websites or Twitter if you want to add those. Strangely enough they don’t include a link to your website directly, but they will let you insert a blog feed…so that’s a great reason to have one! You’ll also get access to additional sales information not tracked in KDP. You also get to personalize a short Amazon Author URL – mine is http://amazon.com/author/sararosso. The great thing about the ebook industry is things are growing and changing fast. I suggest following the KDP newsletter (monthly) which has some recent news, Amazon formatting updates & changes, and is worth keeping track of. Here’s a recent issue of the KDP newsletter. Also follow @AmazonKDP on Twitter – they don’t Tweet often but they do share helpful articles (many which aren’t even written by Amazon) about publishing & self-publishing. Those are the seven macro-steps I think you should take to publish your book on Amazon Kindle! Who’s self-published their own book? Any tips to share? Sara, This is such a perfect description of instructions for new authors like me…I am in the process of writing my ebook and hope to be able to publish it by the fall. Thank you for such good advice from your own proven experience! I really appreciate it. So if you have all your stories saved in a file or on a disc you just can’t upload them onto the site somehow? Will re-read the steps-but the re-formatting thing has me a bit scared. Thanks! @Cheryl, it doesn’t have to be complicated, but you should definitely read through the formatting information Kindle provides. Unfortunately I don’t have space to get into the details on this post. Thanks for the instructions. Others I found are a bit confusing. I had no idea that you didn’t get an author page automatically; I’ve been self-publishing since October 2011 and was wondering why the link of my name just went to a search page. Sigh. Thank you, Sara! I’m really interested in formatting in HTML. I’m definitely looking forward to your post about that. Re: formatting in HTML, you can learn the basics of it anywhere, so that’s a good place to start. There’s actually very few Kindle-specific things you’ll need to put in your HTML doc to make it Kindle-ready. http://www.w3schools.com is a good place to start learning HTML. I’ve self-published and printed a few books including a series of children’s books and was planning on selling them as ebooks next month so I appreciate your advice here. Thank you. Great advices. Personally I’ve been playing with the idea of writing some sort of book while I’m in Australia, Which I will be in about 4-5 months when I finish school and get my diploma. Its one of the main reasons that I begun blogging ( that and I’ve always wanted to try sharing my thoughts ). Thank you for the guide. I’m in the progress of writing an ebook, and this is coming handy. thanks, lady! I’ve just gotten the first three chapters back from my ebook guy (decided to buy these services instead of buying Indesign and driving myself nuts during the season) as a PDF, which I’m offering as a free download, and then he’ll be working on putting the rest of the book into epub and mobi for publishing. I signed up for KDP a while ago and have done nothing with it as of yet, so this will be my big “test.” All of this has to happen by the summer so that I’m fully prepared platform-wise when my novel gets published in October. I’m very curious to see how this is all going to develop. I know I could have tried to learn to do the pdf conversion myself but time is a resource I just don’t have especially in season, and I’m such a slow tech learner. Are you around in July and August? At all? Hey! Can’t wait to see it 🙂 Around is a relative term…not sure where we’ll be, actually. I’ll email you. @Alyson – they tell you in KDP, and a post I’m publishing today will talk more about this. Briefly, for the US market you get 35% on books selling at $2.98 and below, and 70% at $2.99 and above, minus delivery costs (I explain this more in my post today). Brava!! thanks for the encouragement. Will start soon. Promise. Really helpful post, Sara, and a good tip to not forget to set up your author page, there are still a lot of authors who don’t realize they have to do that themselves. I’m continually shocked at how easy it is to self publish now. Every time I read about it, it seems the process has gotten easier. Thank you for the great post, I was hanging on a cliff edge about self publishing but now I know I need to dive in and give it a try. Great advice here. I am about to publish my second book on kindle and the first time took us days and days to get right. Will use your tips to make sure the next time it isn’t quite so stressful. I write but I don’t really do the techie stuff! !